2010 CHARTS REWIND. WelcheMusic recaps 2010 and realizes how a late Hawaiian musician could score one of the biggest hits in Germany of the year with an old Judy Garland cover. Well, you should never underestimate the power of TV and commercials. In October, British/Dutch consumer goods corporation Unilever’s male grooming product line Lynx (née Axe in the Nordics) used Israel “IZ” Kaʻanoʻi Kamakawiwoʻole’s cover of “Over the Rainbow” in the below commercial. The result – more than 300,000 copies sold of the single. The track pushed Eminem & Rihanna off the top in October and has more or less topped the singles chart ever since. It was knocked off the top for one sole week on Dec.10 as Empire of the Sun’s “We Are the People” logged one week at No.1. 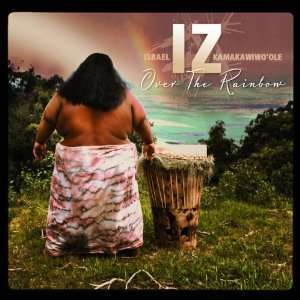 Israel “IZ” Kaʻanoʻi Kamakawiwoʻole was born in Honolulu in 1959. In 1993, he released the album Facing Future, which included a medley of “Over the Rainbow” and “What a Wonderful World” on ukulele. Kamakawiwoʻole has remained a great influence over Hawaiian music, even after his death in 1997. So far, Kamakawiwoʻole’s version of “Over the Rainbow” has been featured in numerous movies, including Meet Joe Black, You’ve Got Mail and Finding Forrester. In 2004, it was featured in the ending scene of 50 First Dates. This surged interest in the track, sending it to No.12 on the Billboard Hot Digital Tracks chart – it passed the 2m paid downloads mark in the USA in September 2009. The track bowed on the UK singles chart in 2007, eventually peaking at No.46 over a 2-years period. In Sweden, the track has been included in the credits of the SVT program Korrespondenterna. The track charted in Sweden in February 2009, peaking at No.19.